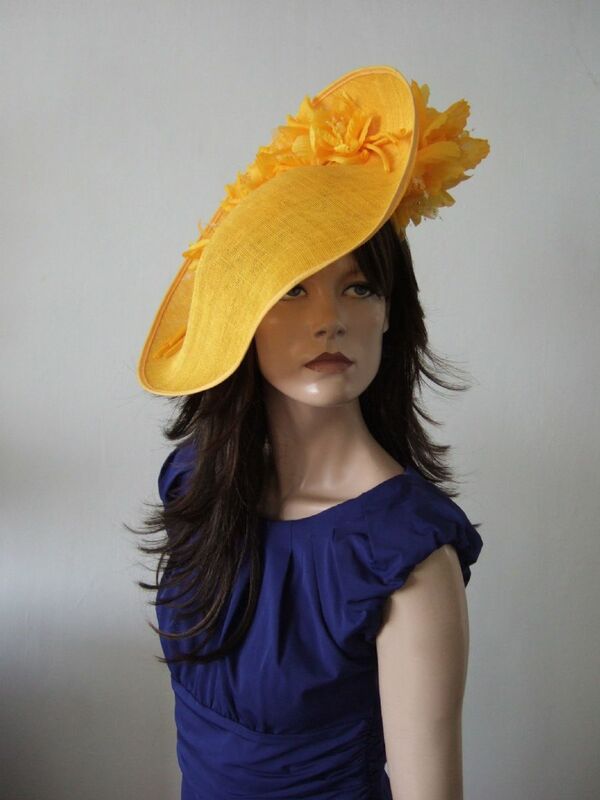 Golden Yellow Handmade Saucer Hat Hatinator with Silk Roses for Wedding, Royal Ascot Designer Hat. 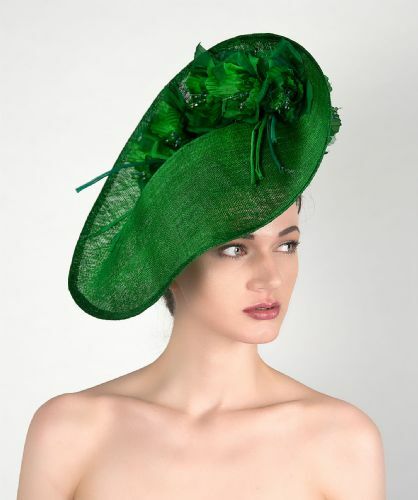 Garden Party, Emerald Green Mother of the Bride Hat. 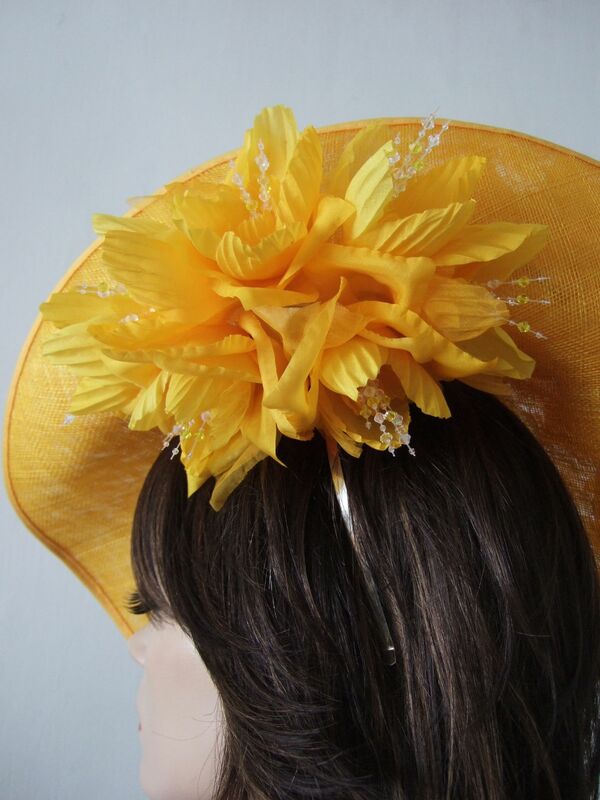 Golden Yellow Slice Saucer Hat Headpiece Silk Roses Flowers Hat "Fern"
"This is such a stunning hat. The shade of yellow is so pretty. The quality amazing. Can't wait for Ascot so I can show it off." Handmade Headpiece Made to order in 10 Working Days. Hand Made Slice Saucer Wavy Headpiece called "Fern". A Large Wavy Saucer that has a beautiful upturned back that holds a bed of handmade multi-tonal Yellow silk Roses with dozens of Swarovski Crystals stemen centres, and repeated Flowers on the underside. Hand Dyed, made to order in the UK. The disc and the flowers can be made in pretty much any colour you wish to match your outfit. 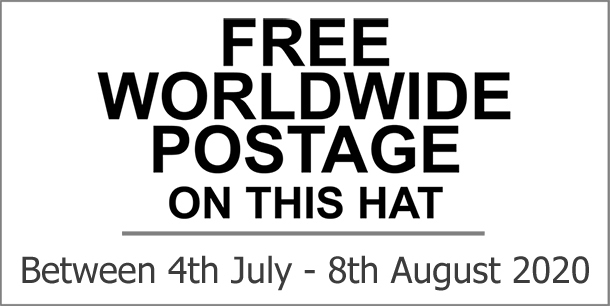 Please do contact via email if require a different colour. 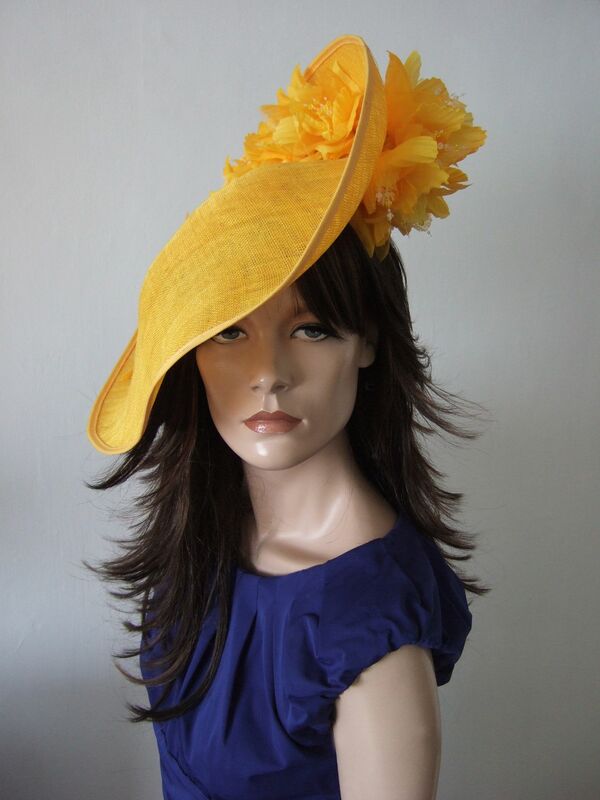 A unique headpiece sure to get you attention at the races. 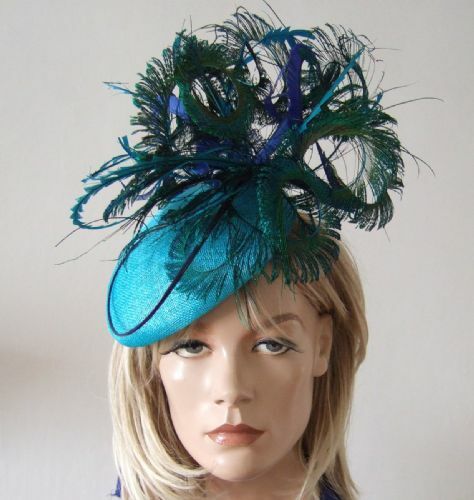 Wear it with a matching Yellow, but works brilliant (if not better) as a contrast colour against an Ultramarine blue, or Emerald Green, Deep Berry Pink for example. Attached using Alice Band on the Underside. 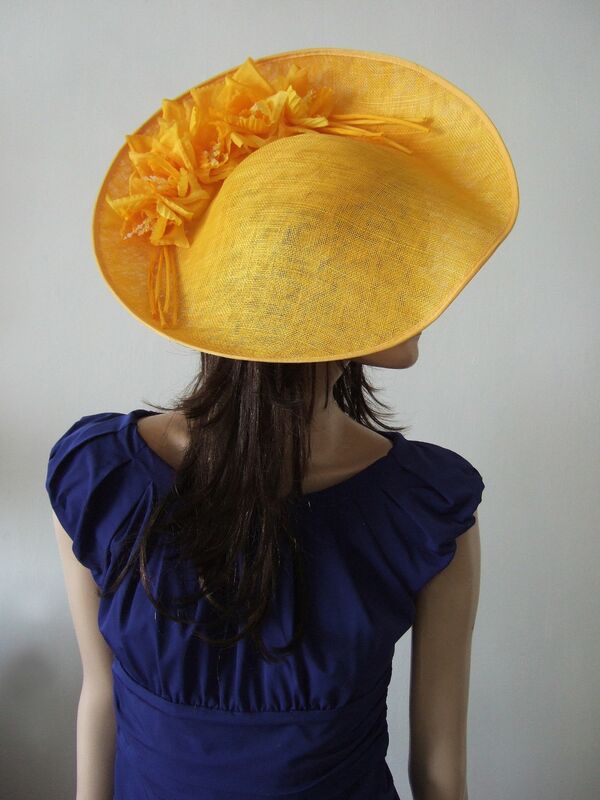 Perfect for Mother of the Bride outfit (can make in any colour if Yellow isn't yours - please email if need different colour). Outfit Ideas - First Amal Clooney wore all over yellow for the Royal Wedding, then Meghan Markle took tips from her wedding guest and switched her neutrals to cheery yellow during her Royal outing in June. July, for the Mens Wimbledon Final Kate Middleton Duchess of Cambridge wore a D&G Yellow shift dress. 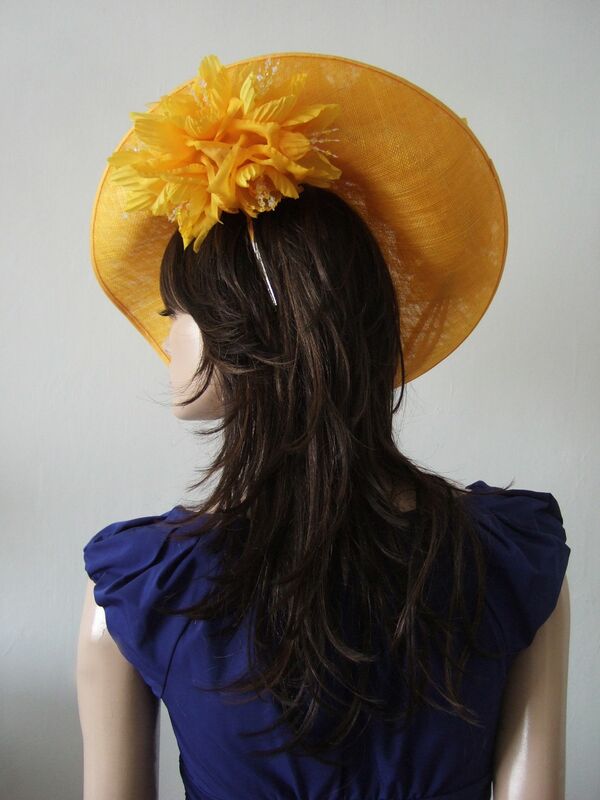 Now, it seems everyone is looking for ways to wear this cheery hue. Yellow is a happy colour. 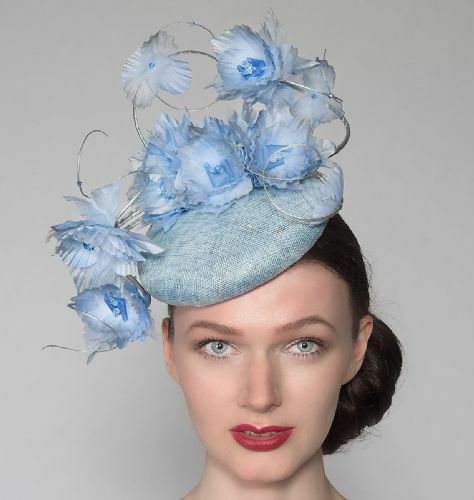 Worn all over for a wedding would be to in your face and attention seeking, but perfect for the Kentucky Derby, or Royal Ascot. Grab the attention and show off your playful side, with this standout Racing Fashion look. Below are some outfit suggestions. If you would like to see the other items, simply click the affiliate links to go to those stores online. If you buy from them they give us a diddy commission for recommending them (at no cost to you). The Dress is: Saylor. Click to see Dress. The Bag: Diana Ulanova. Click to see Bag. The Shoes: Malone Souliers. Click for Shoes. The Nail Polish: ILNP. Click to see Nail Polish. The Eyeshadow: Surratt. Click to see Eyeshadow. The Dress is: Gina Bacconi. Click to see Dress. The Bag: Topshop. Click to see Bag. The Shoes: Head Over Heels. Click for Shoes. The Nail Polish: Topshop. Click for Nail Polish. The Lipstick: Charlotte Tilbury. Click for Lippy. The Perfume: Marc Jacobs. Click for Perfume. The Eyeshadow: Dior. Click for Eyeshadow. Emerald Green Slice Saucer Hat Headpiece Silk Roses Flowers Hat "Fern"
Cornflower Blue Silver Suspended Silk Flowers Smartie Headpiece Cocktail Ascot Hat "Reba"